Published by the American Geophysical Union as part of the Geophysical Monograph Series, Volume 184. A description of the hydrologic changes induced by peat harvesting and associated challenges in restoring altered peatlands to their natural hydrologic regime. Carbon Cycling in Northern Peatlands will be of interest to research scientists and graduate and undergraduate students, particularly those who wish to know more about the role of peatlands in the global carbon cycle and their role as modifiers of climate. 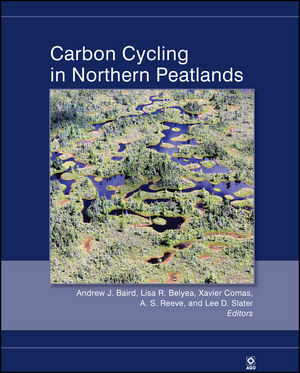 Andrew J. Baird and Lisa R. Belyea Belyea are the authors of Carbon Cycling in Northern Peatlands, published by Wiley.